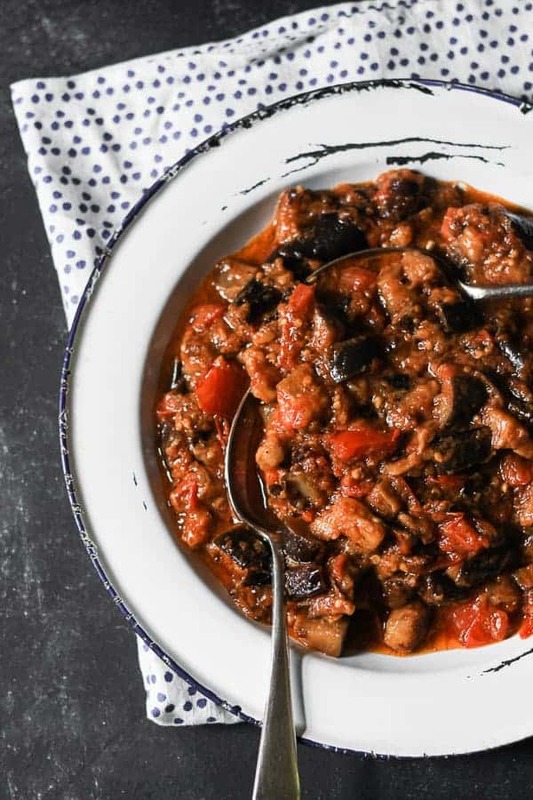 This delicious Garlicky Slow Braised Tomato and Aubergine is so versatile. It can be served as a delightful veggie option with a bit of rice, or an accompaniment to grilled meat. It’s lovely hot off the press or at room temperature. This dish knows no bounds. This bank holiday weekend is not necessarily broadcasting barbecue weather. I don’t know about where you are but North London seems to be pouring rain one minute and bright sunshine the next. Hang on a minute, for a Brit this is the kind of barbecue weather we are used to, so fire up the grill and when you do make sure you have one of my favourite side dishes to hand. Everyone loves a sausage in a bun and a burnt burger but I am a great believer that the barbecue accompaniments are just as important as the main meaty event. This is particularly true if you are not automatically pairing your meat with bread or potato salads, say if you are on the Whole30 diet, which I don’t know if you know, but I am. 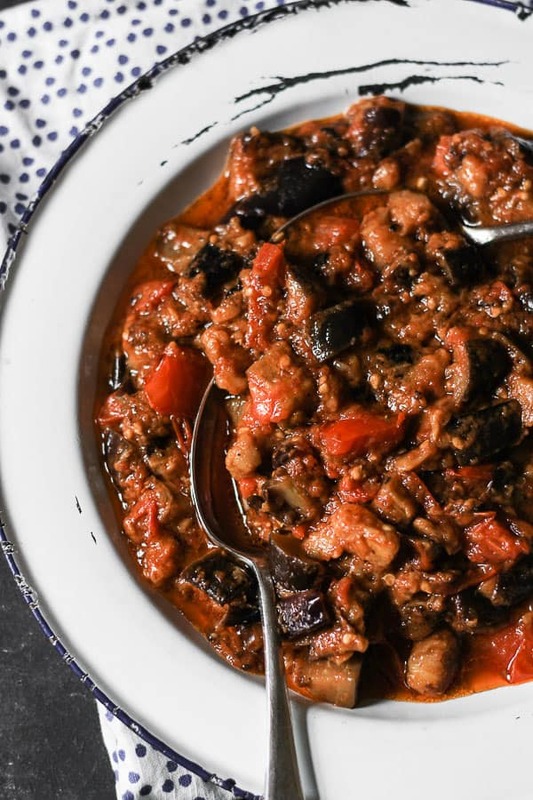 I have a lovely bunch of side dishes which I churn out on a cyclical basis during barbecue season and this slowly braised aubergine and tomato recipe is really one of my favourites. If you have this, a bunch of meat and a lovely leafy green salad then you are completely set. There is nothing like preparing ahead if you know you will be holding a barbecue as the last thing you want is to be is sweating hot and working hard in the kitchen whilst all your guests are japing around in the garden soaking up the short lived sun with tall glasses of minty Pimms. I suggest therefore that one of those corners you cut is to throw it together the night before. It also has the added benefit of helping the flavours to settle and infuse. Then serve it the next day re-heated if you like but to be honest I don’t bother as I like it to be taken out of the fridge a couple of hours before and brought slowly to room temperature. I know plenty of people who don’t like aubergine which is such a shame as if cooked properly it is such a satisfying vegetable with its deliciously silky yet meaty flesh. I don’t know why mushrooms are always the vegetarian option of choice, aubergine is a much better meat substitute. I’ve spoken before about the amount of oil needed to do justice to a decent aubergine dish. Don’t baulk at this and don’t be stingy as otherwise the aubergine will not reach the desired texture and you will basically be eating an unpleasantly bland watery vegetable, it’s experiences like this that can put a lot of people off. Since the rain has refused to abet this afternoon I think I will withhold my barbecue and serve this indoors instead with a generous lamb chop. 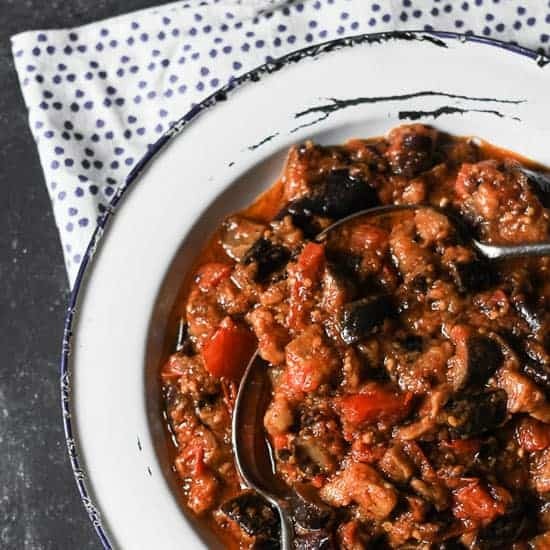 You can also serve it as an unctuously rich stew as it is a brilliant vegetarian main course if served with plenty of rice and maybe a salty chunk of feta. Full disclosure, this recipe was totally supposed to have dill roughly chopped and then added in at the end when you take it off the heat but I just clean forgot, it is really delicious without but if you do have some dill lying around do add it in as it’s yummy. An incredibly versatile veggie dish which can be served on its own or as an accompaniment. Heat the olive oil in a very large saucepan and when hot place in half of the aubergines. After a few minutes when they have started to soften and shrink put in the rest of the aubergines. Cook on a low heat for 20-30 minutes, stirring frequently, until they are starting to turn golden and translucent. Add in the tomatoes and the garlic cloves and plenty of seasoning. Cook on a low heat for about an hour, then remove from the heat (here is where you can add in some dill). 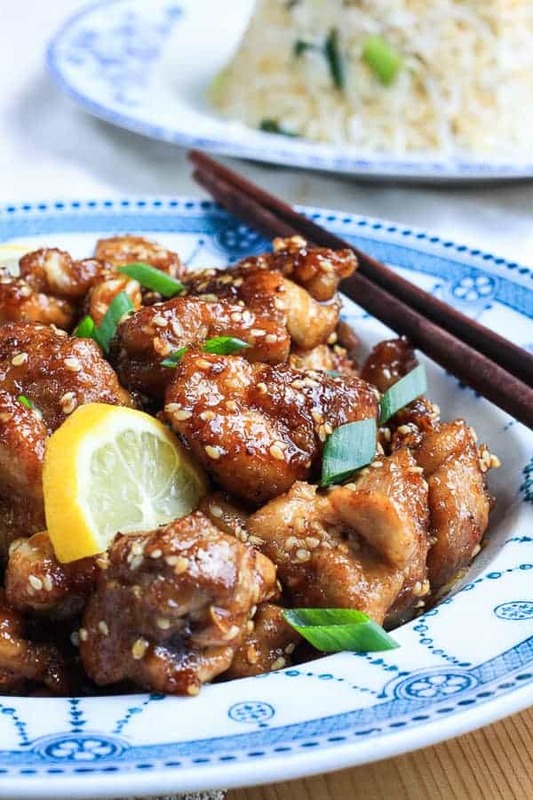 Orange, Ginger and Sesame Chicken is an easy stir-fry, so convenient for week night dinners and delicious either by itself or with fragrant basmati rice. I have been cooking stir-fries since I was a student so I know by now exactly how I like them. I always cook off the meat first. 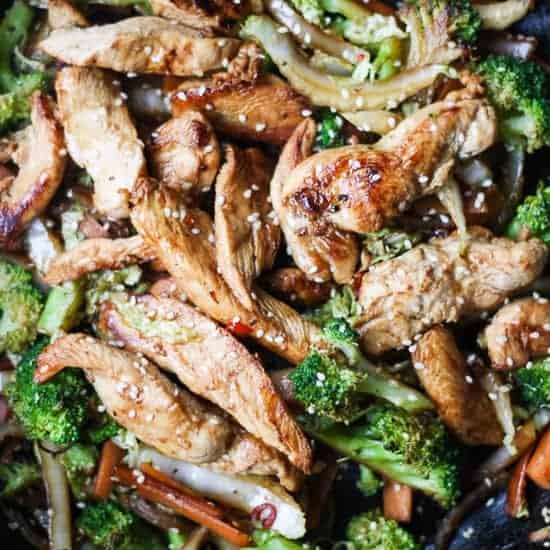 This is for a few reasons, mainly so the meat doesn’t overcook, as there is nothing worse than dry chicken in your stir-fry. However, by cooking it in the pan first it will leave behind important flavour for the vegetables to cook in, especially if it’s marinated meat. 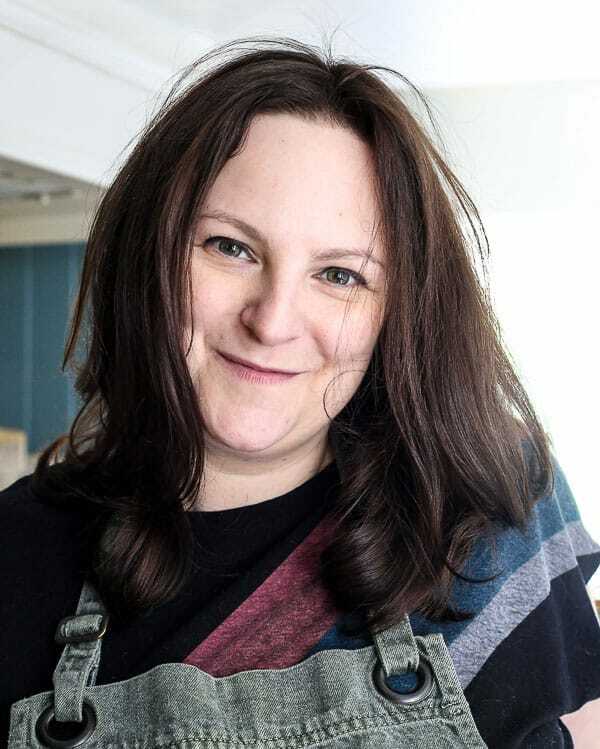 If it’s beef you are using you can ensure it’s cooked exactly to the rarity you like just by searing it off first thing, but when you add it back in at the end make sure the heat is off so it doesn’t continue cooking. My stir-fries contain a lot of vegetables so it’s also important that the meat has been set aside; I want them to be free to roam the pan so they don’t steam cook, piled on top of each other, jostling for space with the chicken. 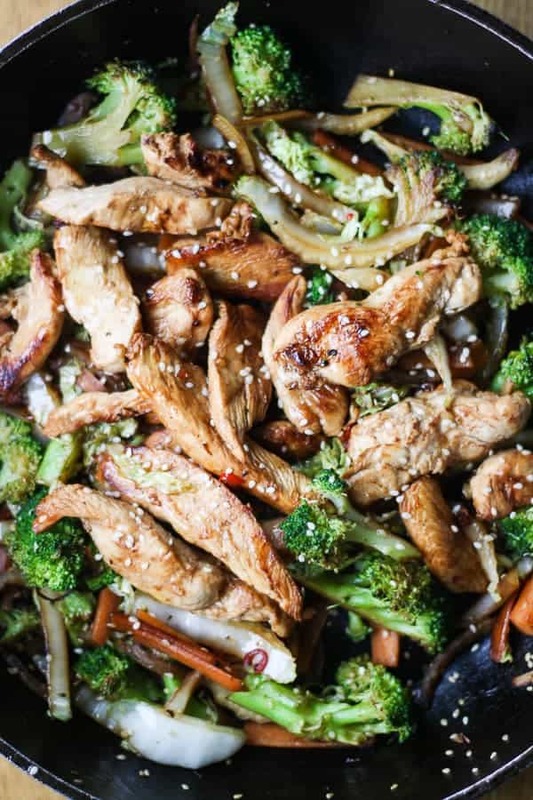 My final tip is to only add the vegetables to a hot pan with hot oil, as I want them to be cooked hard and fast so they retain bite and don’t get into a soggy mess. This is why I usually blanch my broccoli for a couple of minutes before adding to the stir fry as otherwise it has too much bite and is a bit of a mouthful. It’s Day 5 of the Whole30 for me and the main ingredients in this chicken marinade are orange juice and coconut aminos. Orange juice is allowed on the Whole30 but only in cooking and not as a drink. Fruit juice in fact is the only sweetener that’s allowed on the plan, but I’m sure we’re expected to use that knowledge responsibly. Besides, here, it’s just involved in a marinade so not all of the juice makes it into the final dish. The coconut aminos is my new friend who arrived into my house only this week as a substitution for soy sauce and tamari which are not allowed on the Whole30. You can buy coconut aminos from Amazon or a very good organic food shop but it isn’t cheap. However, you don’t need much to flavour a recipe and I think it is worth the investment if you are wondering how to get through 30 days without soy sauce. This was a quick dinner one evening, late after a personal training session, and I was so hungry that I only took a perfunctory photo, I made it again the next night but it was also late and so no pictures. 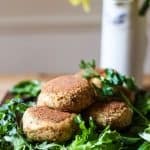 I did want to include the recipe here though as it is one of my old faithful recipes just slightly adapted for the Whole30 plan. Previously I have made this with soy sauce and sherry so it was a bit of an experiment to substitute the soy with my new coconut aminos and to disinvite the sherry. 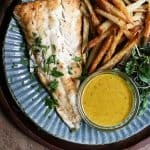 I used the coconut aminos as a straight swap and I have to say I didn’t notice a difference, the marinade tasted just the same as when I have made it before with soy. I compensated for the lack of sherry by adding some sesame seeds which has actually improved the dish immeasurably. I normally do splash some sweet sherry into my stir-fries at the end of cooking but adding sesame instead not only made my dinner suddenly Whole30 compliant but added a lovely crunch to the vegetables. 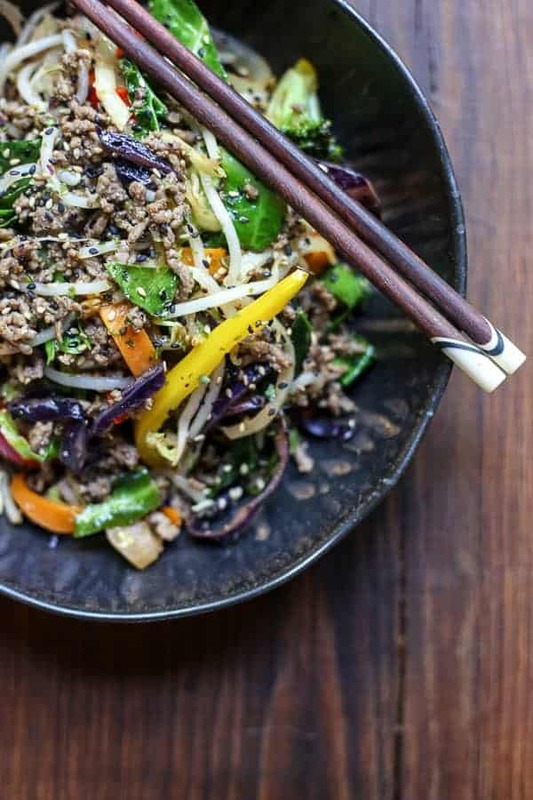 The Whole30 plan currently doesn’t allow rice but this stir-fry is so full of lovely vegetables, protein and flavour that you can absolutely get away without it. However, if I wasn’t on Whole30 then for sure I would be serving myself a half portion with plenty of fragrant basmati rice. Pour the coconut aminos, the orange juice and the garlic into a medium sized bowl then add the chicken and mix to combine. Leave the chicken to marinate for at least an hour but overnight if possible. Heat a tablespoon of coconut oil in a wok over a medium flame until hot. 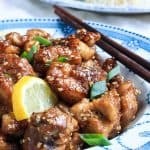 Remove the chicken from its marinade with a slotted spoon and add to the wok, cooking for 5-10 minutes until the chicken has just turned golden. Remove from the wok and set aside. Add the rest of the coconut oil to the wok and then when hot add the onion, ginger and chilli and cook until the onion is starting to brown. Then add the rest of the vegetables and the sesame seeds. Stir fry for 5 minutes on a high heat. Re-introduce the chicken, combining everything together and serve piping hot with another splash of coconut aminos on top. 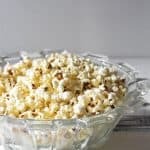 which has a delicious flavour and is what I used in this recipe. Homemade cashew butter couldn’t be easier. Creamy delicious and all natural, made with 100% cashews and that’s it! 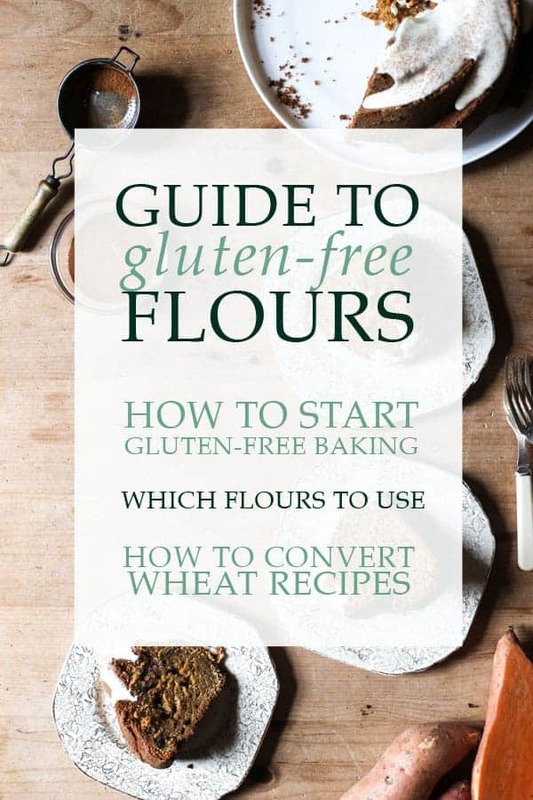 I am not reinventing the wheel with this recipe. It’s a tried, tested and truly paleo nut butter. It appears endlessly on the internet and all good paleo sites but I still wanted to include it here as part of my own Whole30 recipes as it’s such a godsend in these health driven times, so useful for including as part of my breakfasts, main meals and in particularly snacking. 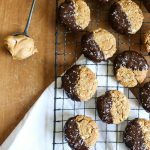 If on the off chance you have never thought to make your own nut butter you will be interested to hear that it is also perhaps one of the easiest recipes I have written about. All you need are 3 things; unsalted cashews, a food processor and 12 minutes. The recipe below will simply state that you rip open your bag of cashews, throw them into the processor then press on. It’s fascinating to watch the cashews transform in 12 minutes, every so often giving them a bit of a scrape around so it all gets processed evenly. In no time at all you will have a sweet, smooth and creamy nut butter. I have written about homemade nut butters before when I made my almond butter to be included in my No-Oat Apple and Almond Butter Porridge, and so it’s worth looking at those pictures of the butter being whipped into shape in the food processor to boost your confidence that I am not leading you down the garden path if you are giving this a go for the first time. This recipe here is for a classic nut butter, I haven’t put any fancy spices or married any other ingredients with it in at the end, I haven’t even salted it. This is because I want it to be used as base ingredient. If tomorrow I decide I would like celery sticks smeared with thai spiced cashew butter then I can toast the spices and include them at that stage. This way I don’t need a million differently flavoured nut butters living in my cupboards, which the other members of my household will be pleased about. Especially since I already have almond, walnut and pecan. 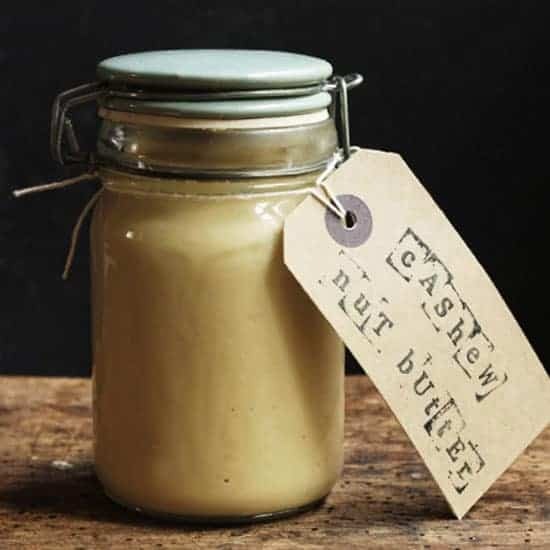 The consistency of this cashew nut butter is also different from the almond butter I have written about before as here I wanted to take the processing a step further. I wanted a gentle butter that had been whipped into a creamy confection. This isn’t grainy and full of nut roughage but smooth and light as air. I achieved this merely by lengthening the time in the food processor. I also didn’t toast the nuts beforehand like I usually would for my almond butter, as I didn’t want the flavour to be too overpowering. So, now it’s in my larder, I can breathe a sigh of relief as I have plans to be eating my nut butter this week as a dip for crudités, in my no-oat porridge and mixed with chopped dates to create little energy balls. Also, not to be sacrilegious but if you are not doing the Whole30 or sticking to a paleo diet, then by all means use this as you would your regular peanut butter, scrape some on toast, add to biscuits or a cheesecake or eat with chocolate, or eat clean out of the jar. Okay, phew, calm down, it’s only Day 4. We can do this! Creamy delicious and all natural, made with 100% cashews and that's it! Tip the bag of cashews into your food processor and press on. Keep a light eye on the processor, giving the mixture a scrape around every so often. If you would like a very smooth and creamy nut butter it will take about 12 minutes, if you would like something a bit more robust then it might be to your liking at about 9 minutes, but check, taste and decide for yourself. One of the common concerns that surrounds embarking on the Whole30 is the issue of breakfast. After all grains are banned so that means no toast, no cereal, no porridge. Dairy is banned so no yoghurt. And it goes without saying that pastries are a resounding no no. So what else is there? The Whole30 way of eating would like to discourage you from thinking that there should be any difference between the kinds of food we would have for breakfast, lunch or dinner. After all that is how food is eaten in lots of other cultures, why should we reserve a set of foods only for breakfast, isn’t this quite restrictive? When I was in Ghana I was surprised that my work colleagues at the newsroom would eat the same sort of food – cassava and perhaps some meat for breakfast, lunch and dinner. I found it very strange at the time but now it seems odd that we would limit ourselves so much at breakfast time. After all, as a student, cold pizza for breakfast was the ultimate luxury. Let’s embrace that attitude! Although pizza might be frowned upon. Having said that there are some breakfast foods which are definitely supported on the Whole30. Eggs, for example. However, for someone who is not a fussy eater at all, I can be very picky over my breakfast. I never liked cereal anyway or milk, toast always seemed a waste of time as it never filled me up but the worst crime of all is my aversion to eggs. This is a bit of a problem in the Whole30 as it’s one of the most celebrated ingredients on your meal plan. It’s the king of breakfast and if you don’t eat them you have to start getting pretty creative. I like my breakfast to consist mainly of protein, this is what I do well on first thing. It gives me energy and satisfies me until lunch. So, sausages and bacon are my go to foods. However, whereas bacon is okay on the Whole30, sausages are a bit more complicated. 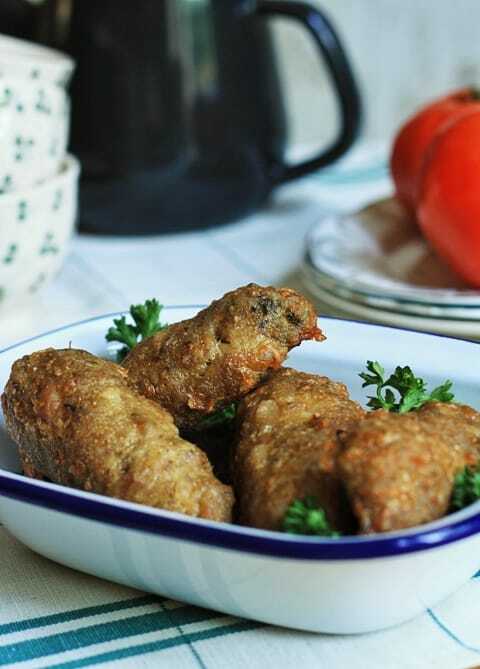 Supermarket sausages usually contain all sorts of preservatives which are not that good for you and although butchers’ sausages may not contain those sorts of products, they are more than likely made with breadcrumbs or some sort of wheat product holding them all together. So I started making my own sausages for breakfast, this way I know exactly what is in them and I can tailor them for my specific picky palette, after all I don’t want a sausage that too rich or garlicky first thing in the morning. I have found that this flavour combination of thyme and fennel really makes the most delicious sausage, it is light, meaty, juicy and full of flavour. 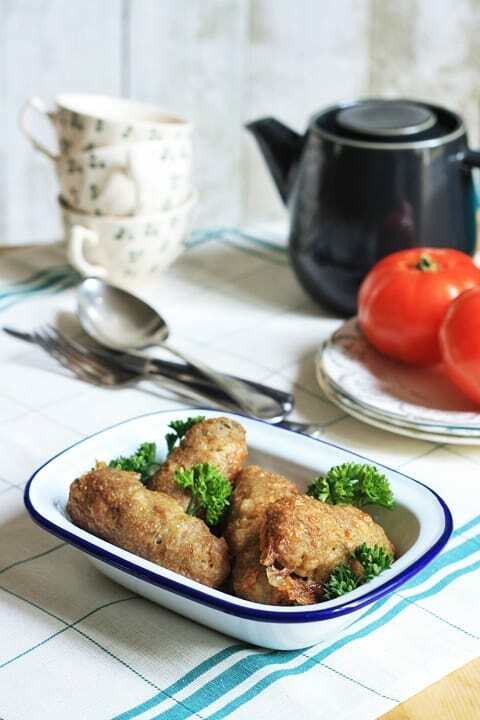 The sausages are roasted without any added fat or binding agent as the chicken skin is included in the mince. This keeps its moisture in and means that during the roast the sweet sticky chicken juices encase the outside of the sausage which is a treat you just don’t find in Walls’ bangers. They are simple to make to boot. All you need to do is de-bone your chicken thighs, then place them in the food processor along with the rest of your ingredients and whizz them up. Don’t worry that at this stage the chicken looks like something Jamie Oliver would produce to put children off food for life, there is only good chicken in your sausage. Then once it’s been completely minced up, shape them into sausage shapes and roast them on baking parchment for 40 minutes in the oven. I eat these sausages wrapped in lettuce or served up with some stewed tomatoes. They are brilliantly filling and feel like such a treat. It’s recipes like this that have kicked off my Whole30 with a bang and made breakfast time a whole lot easier. Chop the chicken up roughly and place it in the food processor with the rest of the ingredients. Whizz up to a smooth paste. Shape the chicken mince into sausages, about 100g each depending on how large your chicken thighs were. You should be able to get 6 sausages out of the mince. Place the sausages on baking parchment on a baking tray. Roast the sausage for 40 minutes in the oven when they will have turned golden.